Gregory: (to Sampson) Say ‘better’; here comes one of my master’s kinsmen. What transpired at last week’s principals meeting bears more than a passing resemblance to Romeo and Juliet’s market scene above. For those of you who haven’t been paying attention, at last week’s principals meeting, Director of Schools Dr. Shawn Joseph shared a bit of a gospel song, “Thirsty” by Marvin Sapp, that served as a “thank you” to all the principals, and followed it with a snippet from the song “Blow the Whistle” by the rap artist Too $hort. He prefaced that snippet by stating that during difficult budget talks with the school board, he sometimes play songs in his head; I assume “Blow the Whistle” was offered as an example. To be fair to Dr. Joseph, it has been a very difficult budget season and emotions on all sides are running high. The district, and the city of Nashville, are for the first time in years facing a budget shortfall. One that will result in several long-term district administrators losing their jobs and teachers not only not getting a raise, but also, due to step raises being denied and rising health insurance costs, taking home less money in their paychecks next year than they did this year. I can certainly sympathize with the Director’s need to draw strength from alternate sources, and I am certainly not going to try to dictate where he goes for that strength. We all have questionable musical tastes that we occasionally indulge in. In the past, I have expressed an affinity to the band Florida Georgia Line and some have raised that appreciation as comparable to Joseph’s Too $hort affinity. Fair enough, but I would never play Florida Georgia Line at a business meeting I was leading, and I certainly hope that in 2018 we are not debating the social ramifications of Florida Georgia Line and their music. From the perspective of the board members in question, in lieu of recent events, I don’t think it’s a stretch for them to feel that the song is directed at them. When the Director’s fraternity brother went unchecked after accusing two board members of engaging in a public lynching, that certainly sent a message. Given a chance to clarify and diffuse the situation, the Director chose to demurely say, “He has the right to say whatever is in his heart.” That sent another message. I also don’t think principals would be wrong in assuming that the song served as a warning for them and the inherent risk in speaking out against Dr. Joseph’s leadership. After all, the previous song selection was clearly intended to deliver a message, so why would anyone assume the second selection was offered for any other reason than to deliver another message? I’m pretty sure that if I had been having contentious meetings with my boss of late and then I chose to play “Hair of the Dog” at a department meeting I headed up, there would be some questions. Even if I didn’t play the objectionable lyrics in the song, the tune itself would lead to people drawing conclusions and making inferences, right or wrong. I’m pretty sure that nobody would question my right to blast the song on the car ride home, but most would caution that it would be a poor decision to play it at the meeting. Which speaks to where the real questions should fall in this situation. 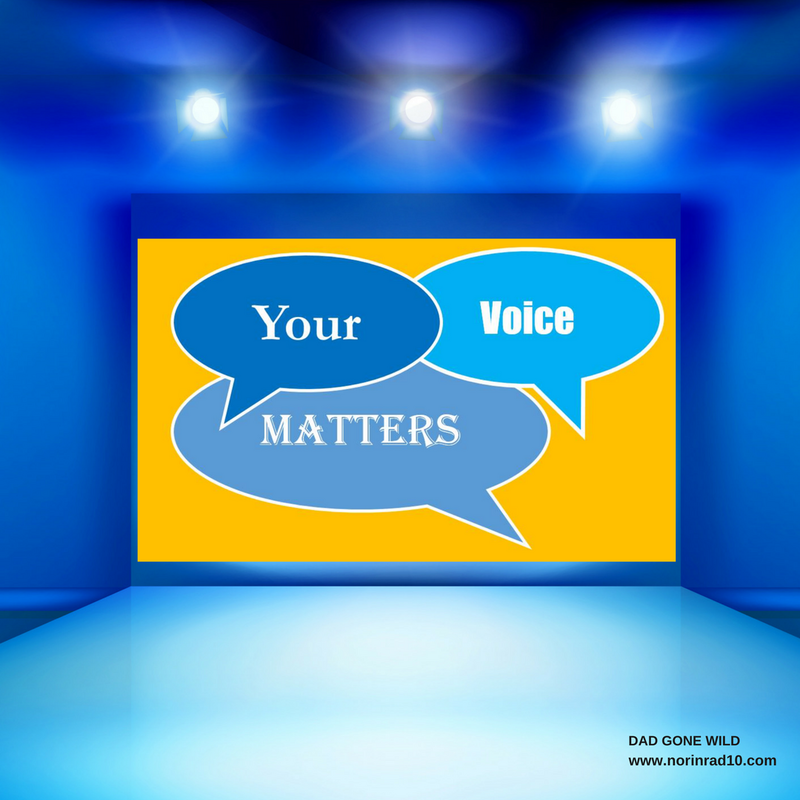 At a business meeting, the sole purpose of a leader should be to communicate their message in as pure and unfiltered manner as possible and free of potential misinterpretation. During troubled times, that goal becomes more essential than ever. A leader should stress test what he plans to say and how that message will potentially be received. They should analyze their message from all perspectives of those who make up the intended audience. Their role in this setting is not to fight social battles, but to deliver direction that will benefit the entire organization and create greater symmetry. There is a reason why “know your audience” is a major tenet of all communications instruction. Clearly it’s a tenet Dr. Joseph chose not to follow. At his first principals meeting two years ago, Dr. Joseph and Dr. Monique Felder alienated some of the principals in the room because of their use of what some consider to be profanity. I believe they used “damn” or some variation of it. Personally, I take no exception, but again, my view isn’t the only view that should be considered. We are in the Bible belt, and there are many people who reside here who are very religious. For them, using that term in a professional meeting is offensive. That group is made up of both black and white people. Use of that word impeded the message that he was trying to communicate. Words are important, images are important, and an effective communicator recognizes that and tries to be as precise with their message as possible. Messaging from the Director also shapes culture. Based on a recent article in the Tennessean that cites over 3,400 cases of sexual misconduct in the last five years, I would argue that the culture in MNPS needs work. While not all of that occurred on Dr. Joseph’s watch, and he shouldn’t be held responsible, we must also acknowledge that a friend of his whom he hired to work in the district resigned under a cloud of sexual misconduct. That case was closed without any conclusions due to the resignation of the employee. The district also had another administrator resign under such a cloud. I would argue that based on these instances, and others, we should be extra diligent on the tone being set. Now you may or may not agree with me. Maybe the conversation to you is a lot bigger and indicative of something else. That certainly is your right. I will also acknowledge that in certain areas I bring no personal knowledge or experience to the discussion, but I will also argue that holds true for all of us. That doesn’t make my input or other’s input irrelevant. If we are truly committed to equity and diversity, we will find room for everybody’s views and experiences under the tent and use them to build a bigger tent. That said, I would question the priority of rallying the community to support the Director of Schools vs the school system itself. Especially during a budget season when schools are facing massive cuts, veteran educators are being laid off, and teachers, as mentioned above, will not only not see a pay raise next year but rather a decrease in their current take home pay. We always hear about the danger of putting adult interests over the interests of children. If Dr. Joseph puts the needs of children first, I’m pretty confident that he can weather any storm. However, if he is willing to endorse supporting himself over our schools as it appears he is… then we have a problem. This is a hard conversation we are having right now, but a needed one. I suspect it will only get harder, but no less essential. We have to be courageous in pursuing this conversation and engage in as much self-examination of ourselves as we demand from others. In the end, the conversation needs to further unite us, not divide us. This is not the time for the blowing of dog whistles, but rather the time to come together for the benefit of ALL our children. 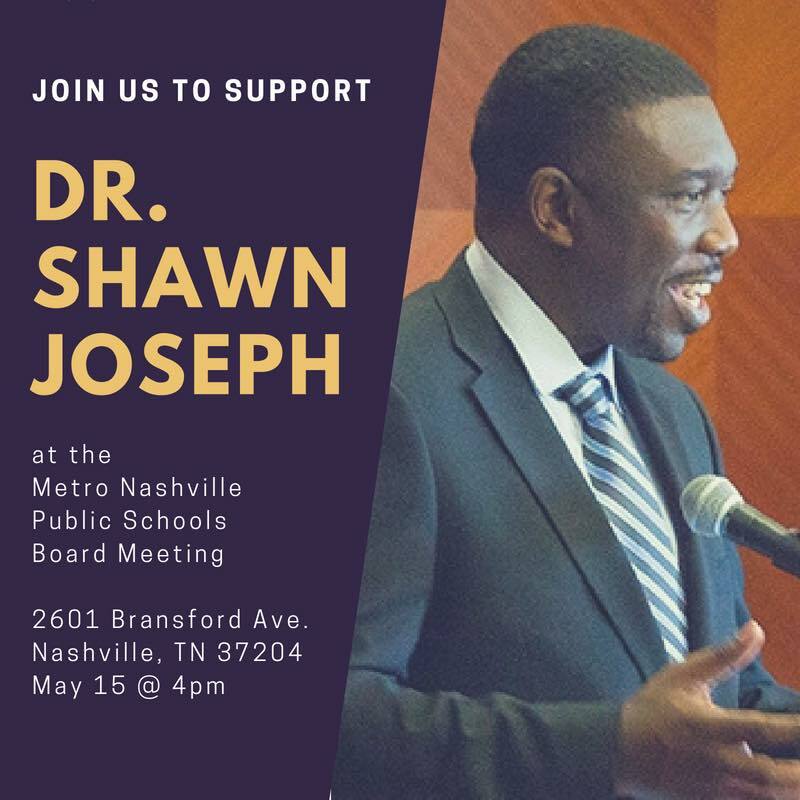 It was recently announced that I have been endorsed by MNEA in my run to be the District 2 representative for the MNPS school board. In response to this announcement, former State House candidate Chris Moth congratulated me while also challenging me to outline what I believe in. He challenged that it is easier to criticize than it is to offer solutions. In response, here are some things I support and believe in. First and foremost to me is teacher recruitment and retention. That begins with creating a healthy culture. One that is contingent upon listening to teachers and their opinions even when they don’t align with our agenda. I was struck when about a month ago former Maplewood HS Assistant Principal Dr. Ryan Jackson stated before his current school committed to a STEAM initiative, they spent a year focused on nothing but culture. That’s the kind of focus MNPS needs. I firmly believe that you have to be that deliberate in your construction of culture. Compensation has to be at the heart of teacher recruitment and retention. I believe that teachers deserve, at minimum, a 5% raise. But I also believe that we need to get creative in constructing compensation packages. Offering reduced-rate child care should be part of the discussion. Years ago, Vanderbilt University offered low-rate mortgages to staff members willing to buy in Hillsboro area. Perhaps we could explore that option for teachers wishing to buy homes in the Nashville area. I also encourage us to make an effort to talk with retiring teachers upon retirement. We should ask if we can call them in a few months to discuss ways they can still be involved with MNPS. Teaching is as much a calling as a profession. Teachers can no more stop teaching than they can breathing. We could pair some of these retiring teachers with first year teachers as classroom aides. This would benefit both teachers and students. I believe that we need to get serious about addressing the physical state of our schools. It’s impossible to ignore the negative impact of attending a school with sub-par facilities. Perhaps while Nashville’s credit rating is still high, we should look at creating a bond specifically for updating ALL our schools. I’m sure the price tag would be astronomical, but how much higher than building a soccer stadium, convention center, or refurbishing an NFL stadium could it be? Are our schools not every bit as important as the initiatives we’ve funded as a city over the last decade? I believe in the work that our English Learner and Advanced Academic departments are doing. We have an EL department that has surpassed the state of Tennessee’s annual goals for the last three years while maintaining a flat budget. The AA department was able to identify more kids this year who qualify for advanced academic services than in the past. This year, by agreeing to pay for tests required by Cambridge, IB, and Advanced Placement courses, the district was able to increase equity and access. We must continue to allow these departments the ability to continue their positive impact on students. I believe in the principles of restorative practices, though I don’t understand why we are employing a shotgun approach to implementation. How much more successful would we be if we focused on 1st, 2nd, and 3rd grade implementation and then added a year every year? Older grades could employ a hybrid model until full implementation was achieved. It may take a decade in order to reach full implementation under this model, but should quality be sacrificed for speed? We need to commit to more access to mental health services for our most needy kids. I find it appalling that in a school where close to half the students have incarcerated parents, some kids only have access to a therapist 3 times a week. We have to do better. I also believe in the need to have a robust conversation about equity. As a parent of two children who continue to attend a high needs school, I can testify that we do not have an equitable system. I will argue, though, that the inequity derives less from money and resources and more from experiences. We must find a way to make the MNPS educational experience more equitable for all. Congratulations to Dr. Steve Sheaffer on being named the new principal for Hillwood High School. They are getting one special leader in Sheaffer. There will be a community meeting at Oliver Middle on Thursday at 6pm to outline the selection process for the next principal there. Yesterday, Duval County Schools announced the finalists for the currently vacant superintendent position. Unsurprisingly, current MNPS Number 2 Sito Narcisse wasn’t on the list. But that hasn’t deterred him from continuing his job search like a Titanic passenger looking for a lifeboat. He’s already applied in the last year in Cook County, Seattle, and a few others. This morning it was revealed that he is a finalist in Newark. This past weekend in Jacksonville, during the community involvement portion of the interview process, Narcisse told the community, “I do not believe in making decisions by myself.” I wonder if anybody asked him how he balanced searching for a job with executing the duties of his current position. On Wednesday, May 23rd, from 4:00-5:30 PM, please come to the Davidson County Courthouse wearing Red for Ed. Stand with teachers in support of funding equality for our public school children and teachers. Nashville is a boom town and our schools should be reaping some benefits from that status. 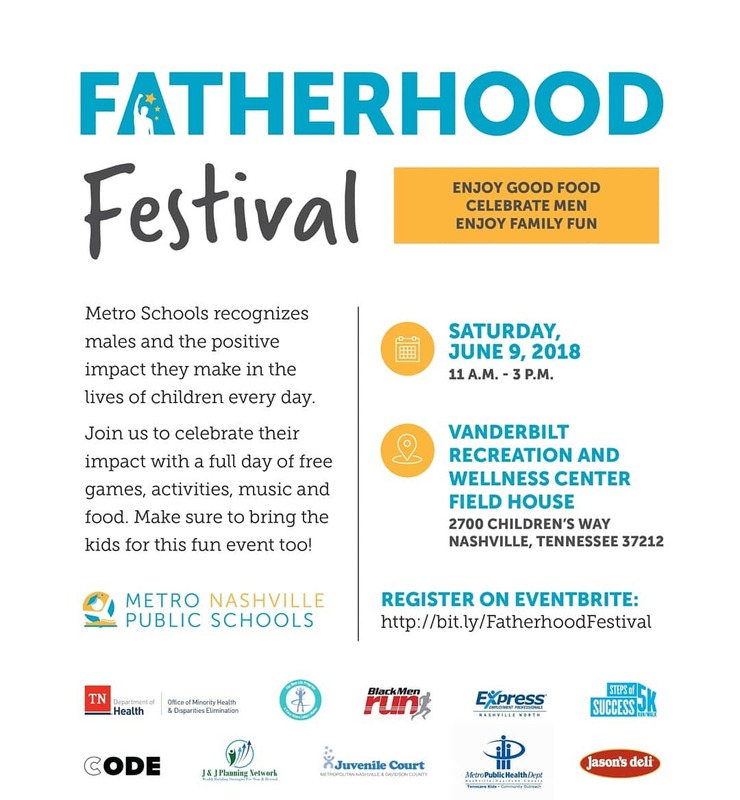 MNPS’s Fatherhood Festival is fast approaching. 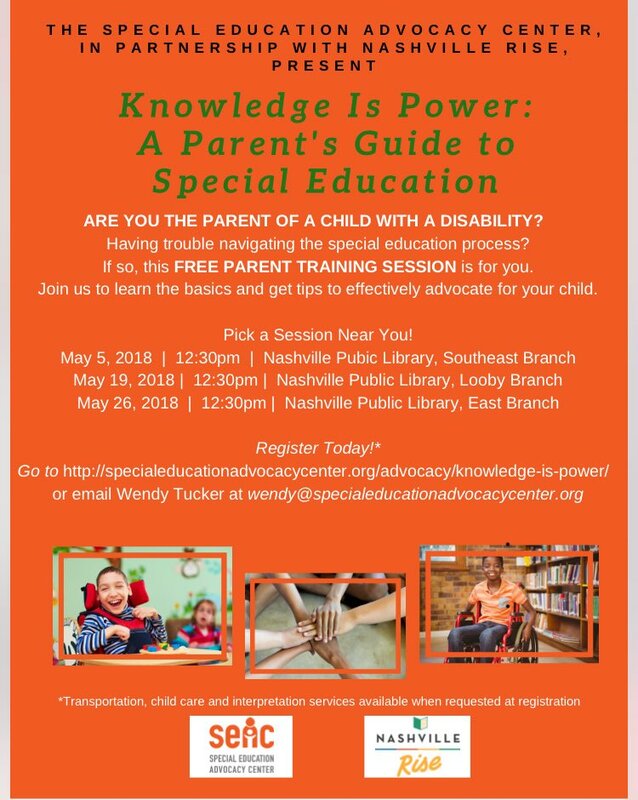 The date is June 9th and it promises to be fun and informative for everyone. Friday’s post was one of our most viewed ever. Thank you for your continued support. It is very much appreciated. Let’s look at poll results. I think it cost me a well deserved raise. The majority of them. This district is a total mess b/c of poor leadership. What does Maritza even do? That’s another blog post in the bag. Hope y’all have an awesome week. If you need to contact me, you can do so at Norinrad10@yahoo.com. I’m always looking for more opinions and will try to promote as many of the events that you send to me as possible, but I do apologize in advance if I fall short and don’t get them all out there. Support Dr. J doing what?? So the card has been tossed. At this point what is the next one to be dealt? Do we go with the Scarlet Letter or Game of Thrones Cersai perp walk? Clearly every action is designed for a reaction and this is now going into game overtime. Lines are drawn what is next? Pistols? Seriously to make an analogy that sports stars listen to Kid Rock (they do?) to pump themselves up and that the “Director” needs to do that to get the team in line great. But I don’t see it that way. Shake it Off that would have a nice local flavor? Or about Don’t Worry Be Happy (McFerrin or Marley either are good) another good one. Or Pharrell’s Be Happy? Can you not feel the love tonight? Oh wait wrong song. The man is a public servant and should realize that he has a different level and standard and set of expectations for behavior and decorum. So what one does in the privacy of their own home or car is one thing but when you are in a place where all eyes are on you think about that and the bigger picture. So throw down the cards, Throw them down seriously. Instead have a responsive private mediation that enables all the players to lay down their hands and respectfully find a common ground about the perception and the intent and apologies all around and then dance it off. Honestly this is just another rage against the machine idea that seems to be going off the rails As they say can’t take the heat get out of the kitchen. But who is the adult in the room that can stop this? It appears no one. So get out the R letter and tattoo it on the backside, rip clothes off and walk down Broadway so we can all get this out of our system. And on another note – yes SEL needs to start in 1,2, 3 and then move forward over time. Pay it forward it will take a long time but to post little signs up and expect kids already 13-14 where you have a LOT going on is just a band aid on a seeping wound. Same with STEM put that in 9th grade as part of math and science curriculum. Then extend that as another “academy” so you can magnet there. I am so punning it up today. But right now Middle Schools have many many problems and it really is evident. That is when the Parkland shooter started to have problems and well you know what happened there. And many of the others have begun at that age it is truly where the resources should go with regards to having support staff and the Mentor program for both students and Teachers. There is a good use of retired staff who would work part time. So now put on Kirk Franklin, Wanna Be Happy and see if that works.